This has got to be the second most easiest of the obscure Jemez ruins in terms of access (Unshagi being the easiest). Take a nice dirt road into the middle of nowhere (if the gate’s not locked!) and there it is right by the side of the road. Despite the easy access, there didn’t appear to be evidence of much visitation. 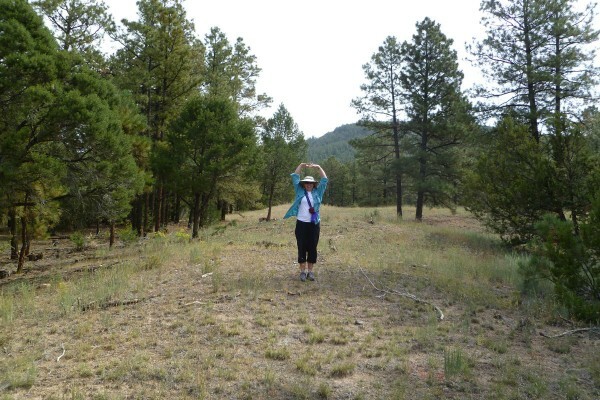 Pejunkwa means “Place of the heart”, which is rather poetic as the Jemez naming structure goes. It was a big beast of a pueblo, estimated to have as many as 1,300 rooms. It’s never been excavated, so tree ring dates aren’t available, but ceramic dating puts its occupancy at between 1350 and 1450 AD. This is another high pueblo, at around 7,500 feet, surrounded by pines. Very pleasant setting. Like Wahajhamka, the room mounds here had little vegetation other than a very low ground cover. Given the way it sprawled through the forest, if grass were planted on the room block mounds it would make a fine park. 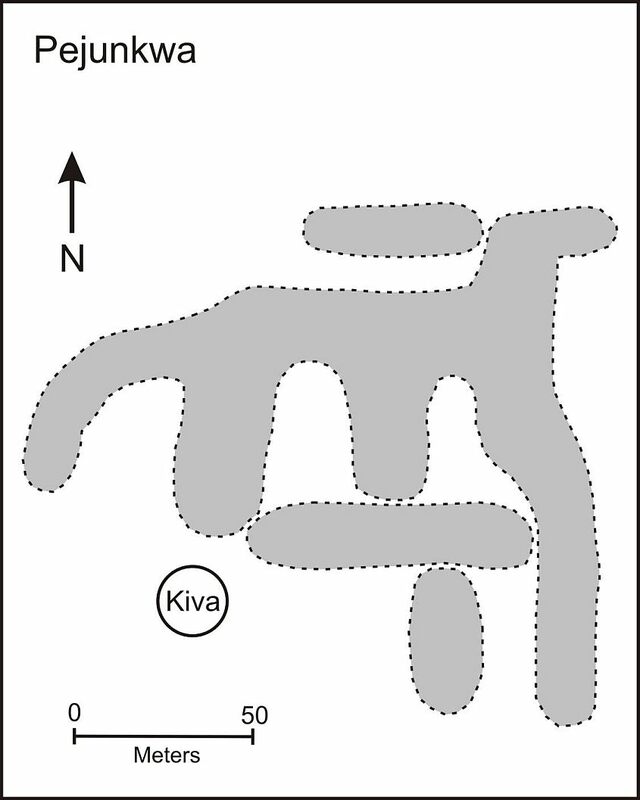 Not much in the way of exposed walls, just large mounds and a big kiva depression. 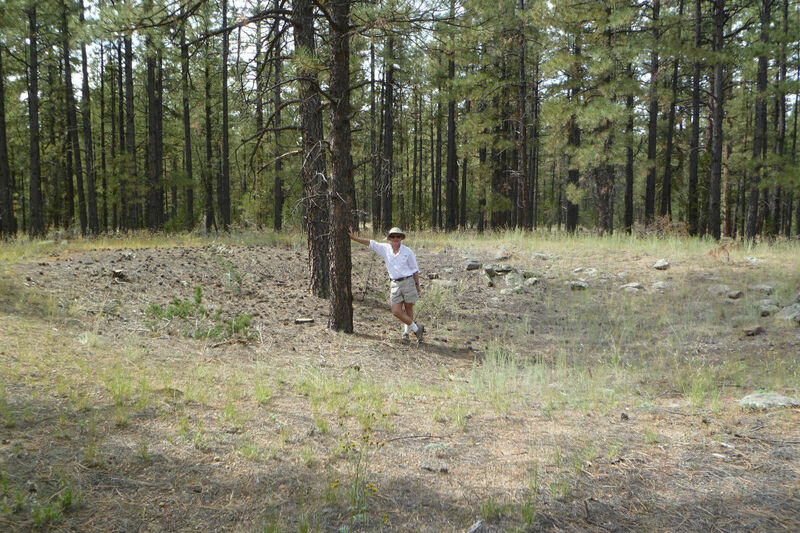 A panorama showing some of the extensive roomblock mounds of Pejunkwa. Jeri on a roomblock mound of Pejunkwa acting like the goofball she is. Me + tree + Great Kiva. There is something about old kivas that seems to promote growth of large trees in them.